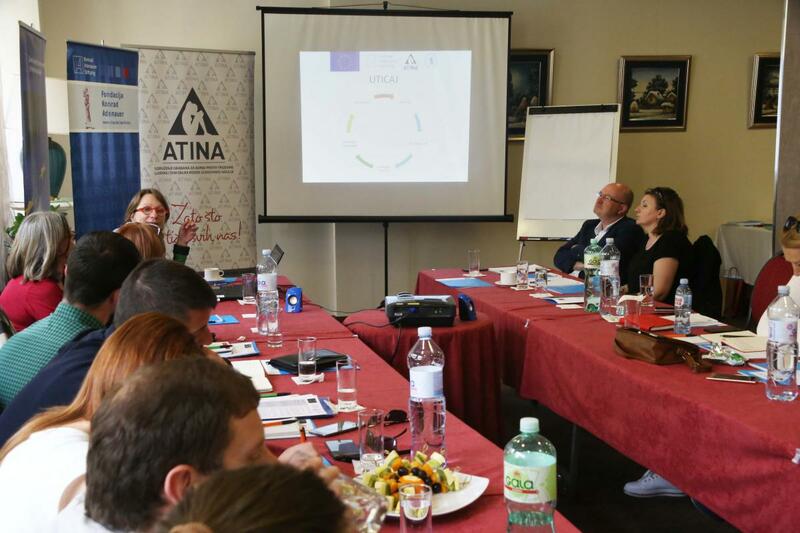 In seven towns with the highest number of migrants – Subotica, Sremska Mitrovica, Sid, Belgrade, Nis, Vranje and Presevo – local campaigns on supporting migrant integration in these towns will start in the weeks to follow. Civil society organizations located in these areas, together with the local migrant integration support networks, will organize a sequence of activities in order to reduce social distance between local citizenry and migrant population and thus indicate to needs and issues of the migrants inhabiting these towns. “The refugees that have come from the Middle East in the last few years, have shaken up systems all over Europe. Solution to this problem are not fences or sending these people back home, because no one would uproot from his or her home and set off without severe and pressing reasons. The right approach is to jointly find a solution that is acceptable and beneficial to all, both to the ones who have abandoned their countries, and to us who find them in our respective countries”, said Norbert Beckman Dirkes, director of the „Konrad Adenauer“ Foundation Office in Serbia and Montenegro, at a coordination meeting where funds were allocated to selected civili society organizations for the purpose of impementing advocacy campaigns in their towns and facilitating migrant integration into society. Local campaigns that will be taking place in the months to come are a part of an international project “Building Together – monitoring advocacy in local communities“ that has been implemented by the “Konrad Adenauer“ Foundation, Citizens’ Association Atina and NGO Macedonian Lawyers Association, with the financial support of the EU. The project has been implemented for a year in Serbia and Macedonia, in municipalities with the highest number of refugees in both countries (10 municipalities in total). “We want our countries to create conditions for the refugees who want to stay to be integrated in society. We are working on raising the awareness of our people about the refugees’ needs, not to resist the idea of integration, and we want to send a message to them that jointly we can and we should provide a better life for these people”, said Aleksandra Galonja, “Building Together” Project Manager. Local campaigns are targeting integration of migrant children in communities, as well as joint activities of local citizens and migrants, aming at decreasing social distance and enhancing the opportunity of getting to know each other. To that end, workshops for primary school age children from local community and migrant children will be organized in Subotica; in Nis the project “Same, but different“ aimed at familiarizing the two cultures will be implemented; organizations from Vranje will also be engaged in providing support to children by teaching children understand cultural differences; organization “Jefimija“ from Sremska Mitrovica will also organize a campaign “Open Horizonts“ with the purpose of bringing closer locals and migrants; Red Cross from Sid will be dealing with the issue of gender based violence within migrant population; numerous activities will also be implemented in Belgrade and Presevo aiming at overcoming the gap between local citizenry and migrants, while bringing them closer. In Macedonia this project has been implemented in Skopje, Gevgelia and Kumanovo, where, in the upcoming weeks, campaigns on raising the awareness of the public on the need to integrate migrants in society.